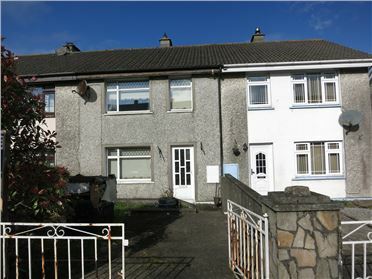 Number 51 Pondfields is located in a popular residential area of New Ross within walking distance of the town centre and a host of amenities. The property which would benefit from some upgrading is a mid terrace residence of c.75 sq m. The living accommodation comprises of a sitting room, kitchen/ diner with door to rear garden, on the first floor there are 3 bedrooms and bathroom. Outside there is off street parking and rear gardens with room to extend. Early viewing is highly recommended. This fine 3 bed home comes to the market in pristine condition throughout having been totally refurbished in recent years. The bright and airy living accommodation which extends c. 75sq m comprises of a large double aspect Sittingroom with Kitchenette off, 3 Bedrooms and fully tiled Wet Room. Outside there is a double detached Garage, ideal workshop, tar and chip driveway and south west facing lawns. Situated in Carrigbyrne with easy access to N25 making New Ross and Wexford within commuting distance and Newbawn village is less than a 5min drive. 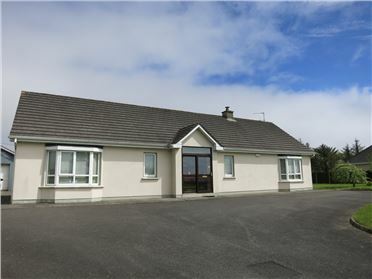 Number 47 Abbey View, Campile occupies a South Westerly facing aspect overlooking a communal green area with views over Dunbrody Abbey and surrounding countryside. The property is a well presented mid terrace in this popular and established village estate within walking distance of numerous amenities and public transport. The living accommodation extends to c.75 sq m and includes a sitting room, kitchen and bathroom on the ground floor. Upstairs there are 4 bedrooms. Outside there is a large Shed / Workshop which has separate rear access suitable for wide variety of uses. Located in a small and well maintained development off the Main Street in this popular and sought after coastal village, number 17 The Clovers come to the market in excellent condition throughout. The well-designed living accommodation which extends to c. 110sq m comprises of a large open plan livingroom and kitchen which opens on to a patio area and rear garden. Also on the ground floor is a bedroom/ study and shower room. Upstairs there are 3 bedrooms and main bathroom. Outside there is car parking and sheltered gardens. All the amenities of Fethard Village are on your door step and beaches are less than 1km away, the attractions and activities of The Hook Peninsula are within easy reach. Viewing is highly recommended. Located at Portersgate, Fethard-On-Sea the sale of this mixed use premises offers a unique opportunity to acquire a landmark building which occupies a prime corner site on the Fethard-On-Sea to Hook Head Road (R734). Enormous potential exists to create a home and income in this very popular tourist location, last year alone Hook Head & Lighthouse attracted over 200,000 visitors. 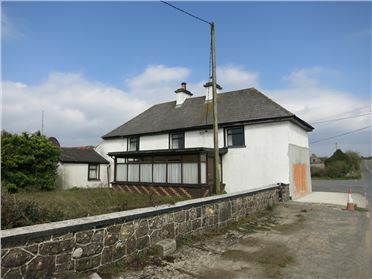 Other attractions include Loftus Hall, Hookless Village together with the popular seaside villages of Fethard and Duncannon which underlines the commercial potential of this property subject to the necessary permissions. Requiring complete modernisation the property which currently extends to c.110 sq m includes a shop and associated living accommodation which includes 3 bedrooms. The property stands on c. 1.4 acres of grounds which include a number of useful outbuildings and sheds. 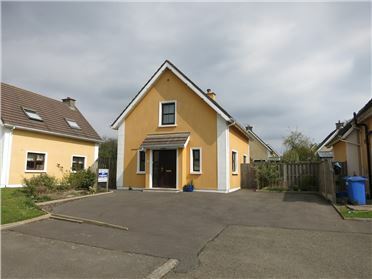 Located in the sought after Ballylane East area of New Ross this most attractive 2 storey residence is set on a 1.1 acre site with commanding views of the surrounding countryside. 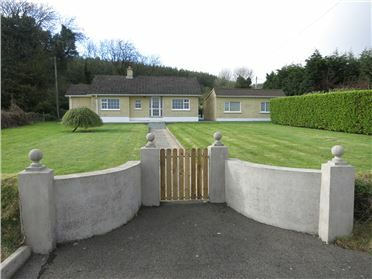 Approached via a graveled driveway the residence is situated to maximize the uninterrupted views towards Slieve Coillte, the well portioned living accommodation of 135sq m comprises of a living room, study, kitchen/ diner, utility room and guest w.c. On the first floor there are three double bedrooms and family bathroom are arranged around a spacious landing. Outside the grounds extend to over 1.1 acres and include a large shed which is ideal for a workshop / garage. 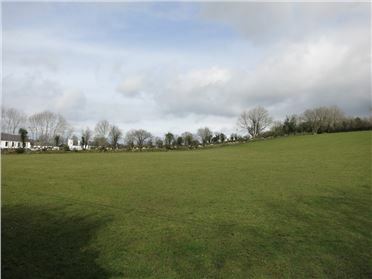 The property is less than 3km from the N25 6km from New Ross town centre and all its amenities. This property is ideal for anyone seeking the benefits of country living yet all the conveniences of town within easy reach. Viewing is highly recommended. Located in a small modern development in Ramsgrange Village, close to Schools, Shop & Sports facilities, this spacious 3 bedroom dormer is presented in pristine condition throughout with an extremely large South facing rear garden with Patio area. 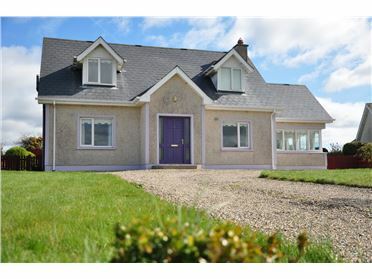 The property is an ideal permanent or holiday home due to its proximity to Duncannon, Fethard-On-Sea and the many sandy beaches on The Hook Peninsula. Waterford is only 10 miles away via the Ballyhack Car Ferry. There are lovely views of the surrounding countryside from the property. Viewing is strongly recommended. 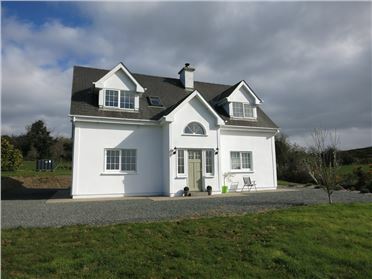 The sale of this beautifully presented and light filled 3 bed residence at Bauck, St. Mullins represents a rare opportunity to acquire a home in this area of outstanding natural beauty. Within minute’s walking of the distance of the historic monastic site of St. Mullins and the picturesque river Barrow, the area is renowned for boating, fishing and walking. The property which comes to the market in excellent condition extends to c. 100sq m and comprises of a sitting room, conservatory, large kitchen/ diner, utility, guest w.c., 3 bedrooms and family bathroom. Outside there are mature and well planted gardens with patio area which enjoys stunning views across the valley to Brandon Hill. Viewing is highly recommended. Number 2 Rosetown is a bright and spacious 3 bed home conveniently located close to the villages of Ramsgrange and Duncannon. The property comes to the market in excellent condition with high quality finishes including solid wood flooring, contemporary style fitted kitchen with integrated Miele appliances. The living accommodation includes a light filled entrance hall, sitting room with solid fuel stove, kitchen/ diner opening to a sunroom which overlooks the rear garden, utility room, 3 bedrooms (master with en suite shower room) & family bathroom. There is a stairs to a fully floored attic currently used for storage, potential exists to convert to additional living accommodation if required. Outside there are extensive open aspect gardens, detached garage which is suitable for conversion if required, garden shed. The size, quality and location of this home will be of interest to anyone seeking a permanent home or a fine coastal residence. Early viewing is recommended.